Behold, your king comes to you. Lowly. Not like the kings of the world, flying high on jetliners, cruising in on yachts, galloping in on mighty steeds. This king comes, accompanied by no pomp and circumstance. He rides a borrowed donkey. That donkey preaches a little sermon, so to speak. It says that Jesus is a King, but that he is a king wholly unlike the kings of this world. He is a king who comes not to be served but to serve, and give his life as a ransom for many. This king's throne is a cross; his crown, made of thorns. The Palm Sunday story might seem a strange Gospel during Advent. Doesn't Palm Sunday belong in Holy Week? But at Palm Sunday, we see how the Lord comes: humble and lowly. At his incarnation, the Son of God steeped into our humility that he might exalt us, and raise us up as sons of God. 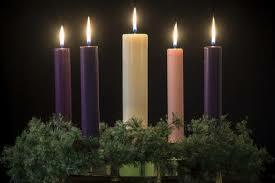 There are three Advents, three 'comings' of our Lord, that we celebrate this day. His past Advent, a lowly coming in humility. His future Advent, a coming in glory. And his present Advent, when he comes to meet us by Word and Sacrament. As we receive his body and blood, we too welcome him as the Palm Sunday crowds once did, singing in the Sanctus: "Hosanna! Blessed is he who comes in the name of the Lord! Hosanna in the highest!" Come, Lord Jesus. Amen.